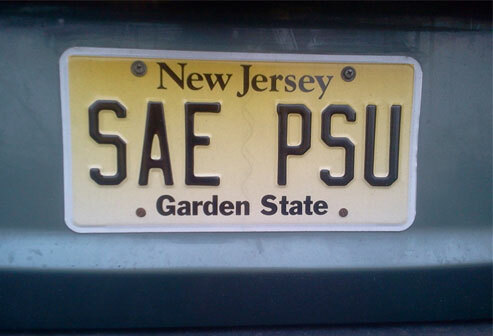 Alpha-Zeta Chapter of Sigma Alpha Epsilon at Penn State - Five Out Of Six Ain’t Bad! Five Out Of Six Ain’t Bad! For the fifth time in the last six seasons, the Nittany Lion grapplers hoisted the Division I NCAA Championship trophy. In what is beginning to look like a dynasty, PSU completed its championship run with two individual national champions and six All-Americans, while scoring 123 points to Oklahoma State’s 97.5 and Ohio State’s 86. As is always the case in the world of sports, it’s never too early to start planning and looking ahead to next season. Email your Alumni Brothers to get the wheels turning and plan a trip back to Happy Valley! We will keep you apprised of next year’s schedule to help you! Who knows, maybe the next wave of PSU grapplers is poised to make it six out of seven! The Penn State wrestling team traveled to the NCAA tournament at Madison Square Garden, where they hoisted the NCAA Championship trophy for the fifth time in six years. The lions crowned two individual champs and amassed a team score of 123, besting second place Oklahoma (97.5) and third place Ohio State (86). Sigma Alpha Epsilon congratulates the men’s wrestling team and in doing so, it got us thinking back to our days as champs in the intramural sporting world.